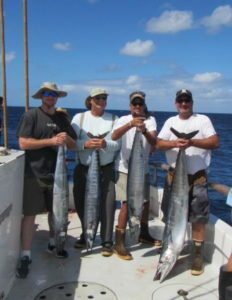 Looking for a way to prepare your Searcher-caught wahoo? How about chef Geri Sue’s Coconut-crusted Wahoo? This is one recipe you will not say “Ono” to! Directions: Preheat oven to 325° F. Combine the egg and water in a small bowl, whisk until mixed. Set aside. Combine the Panko crumbs and shredded coconut on a plate or pie dish. Mix and set aside. 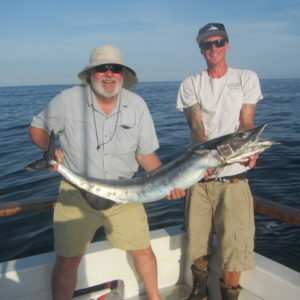 Pat the wahoo fillets dry using a paper towel, season each side with salt and pepper(if desired.) Dip the fillets in the egg mixture and then dredge in the coconut/panko mixture. Bake for 20 minutes. If you would like more toasted coconut, broil on high for an additional 3-5 minutes.